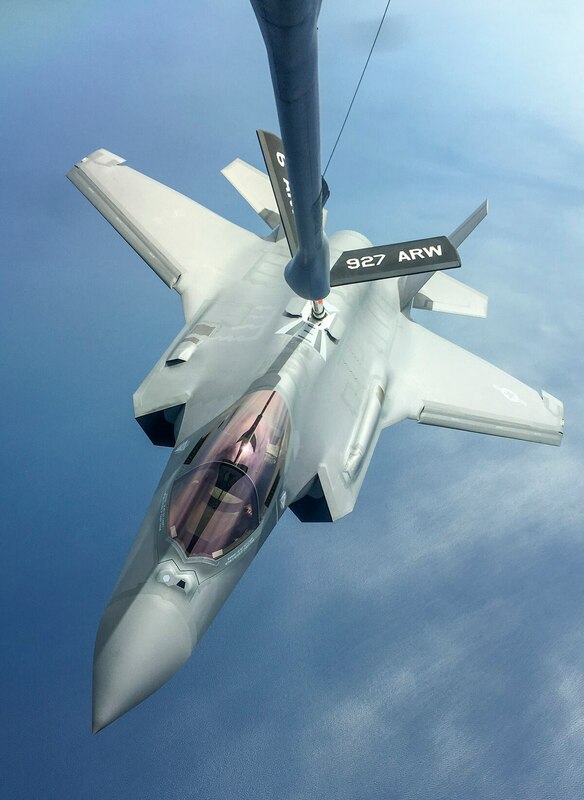 WASHINGTON — The chief of the F-35 joint program office (JPO) is at odds with a prominent government watchdog over how to manage a follow-on modernization effort for the fifth-generation fighter jet. Michael Sullivan of the Government Accountability Office called on the Pentagon to establish a standalone acquisition program for the Block 4 modernization effort, which is projected to cost $3 billion over the next six years. If the JPO continues to manage Block 4 as part of the existing F-35 program rather than establishing a separate business case and acquisition baseline, it will be more difficult for Congress to keep the program office accountable for achieving cost, schedule and performance requirements, he argued. "If the Block 4 effort is not established as a separate acquisition program, transparency will be limited," Sullivan wrote in a March 23 written testimony submitted to the House Armed Services tactical air and land forces subcommittee. "As a result, Block 4 will not be subject to key statutory and regulatory oversight requirements, such as providing Congress with regular, formal reports on program cost and schedule performance." Sullivan pointed to the F-22 Raptor modernization program as an example. Initially the Air Force planned to modernize the F-22 as part of the program's existing acquisition baseline, much like the current plan for the F-35. But the resulting "comingling" meant that Congress could not distinguish between the costs associated with the new modernization effort and cost growth in the existing baseline, Sullivan wrote. Eventually, the Defense Department separated the F-22 modernization program from the baseline, in line with GAO's recommendation. This change "increased transparency and better facilitated oversight," Sullivan wrote. "The department has the opportunity to apply similar lessons learned to the F-35 Block 4 program." However, JPO Chief Lt. Gen. Christopher Bogdan disagreed, arguing that the program office has a plan in place to ensure adequate oversight and transparency for Block 4 within the existing baseline. The Pentagon will award a separate contract for follow-on modernization, which will require separate earn value management, cost, schedule and performance reporting from the contractors, Bogdan told reporters after the March 23 hearing. Bogdan has offered to share these reports with the Hill and DoD's Cost Assessment and Program Evaluation office, he said. Establishing a new acquisition baseline for Block 4 would add unnecessary cost, Bogdan said, and "easily" add six months to a year of delay in the start of follow-on modernization. Frank Kendall, the Pentagon's top acquisition official, "doesn't want to burden the program with that, he wants to get the best of both worlds, and that is having a lean modernization program that is transparent and reports what everyone wants to see," Bogdan said. "Mr. Kendall is trying to do things to be as transparent as we can, but at the same time not overburdening a gigantic program like this." Kendall himself will approve each step of the modernization contract, Bogdan said. For instance, he will require a preliminary design review before the program office can release a request for proposals, which Bogdan characterized as "a milestone B type of requirement" without the "baggage." Bogdan said he expects a contract award for follow-on modernization work in late 2018. He does not expect the Pentagon will compete aircraft-maker Lockheed Martin or engine-maker Pratt & Whitney for the prime contract, he said.